The Boathouse is a restaurant in Glebe, Sydney whose signature dish is this snapper pie. Their pie is so famous and so delicious that I’ve never ordered anything else when I’ve dined there, nor has anyone else I know. If I were them I would simplify life and just take everything else off the menu, apart perhaps from their freshly shucked oysters. It’s one of those genius recipes that combine a few ingredients and turns them into something magical. 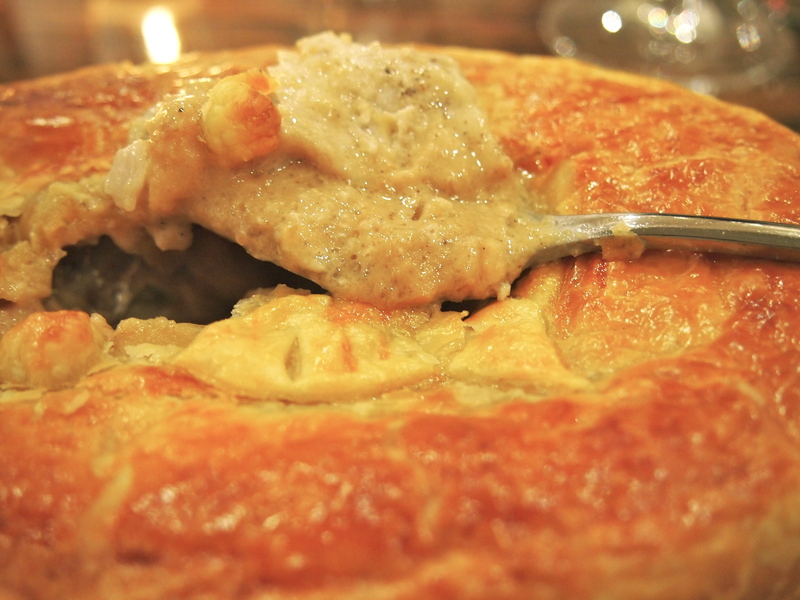 The fish in the pie is cooked in a simple sauce soubise which is a classical French sauce made from onions. Now one wouldn’t normally think of pairing fish with a sauce soubise but it works incredibly well and topped with some truffle oil and buttery, flaky pastry it’s fish pie nirvana. 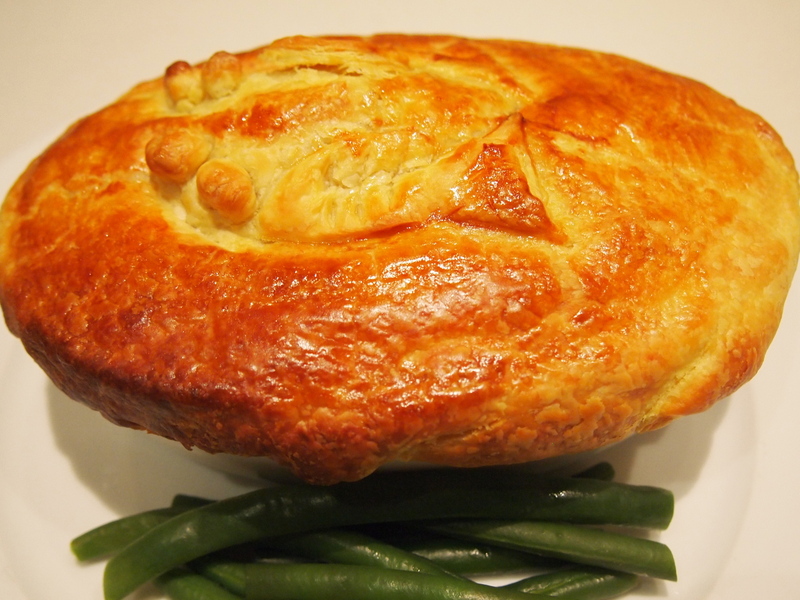 The Boathouse serves their pie with a side of mash and a smoked whole tomato (another unusual pairing which again works a treat) but for ease, I prefer to serve it at home with some steamed green beans and home made crusty garlic bread to dip into the pie once the pastry has gone. 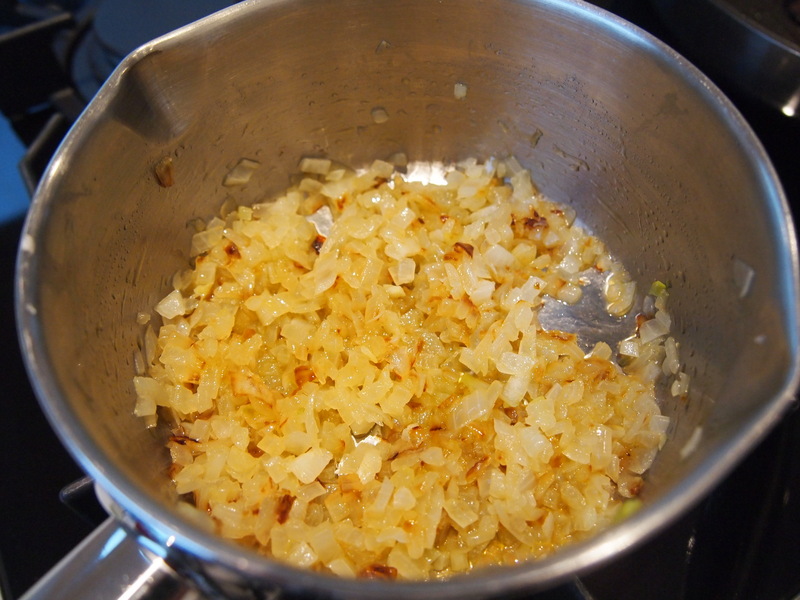 For the soubise sauce , heat the butter and 1 tablespoon of the oil in a large heavy based saucepan. 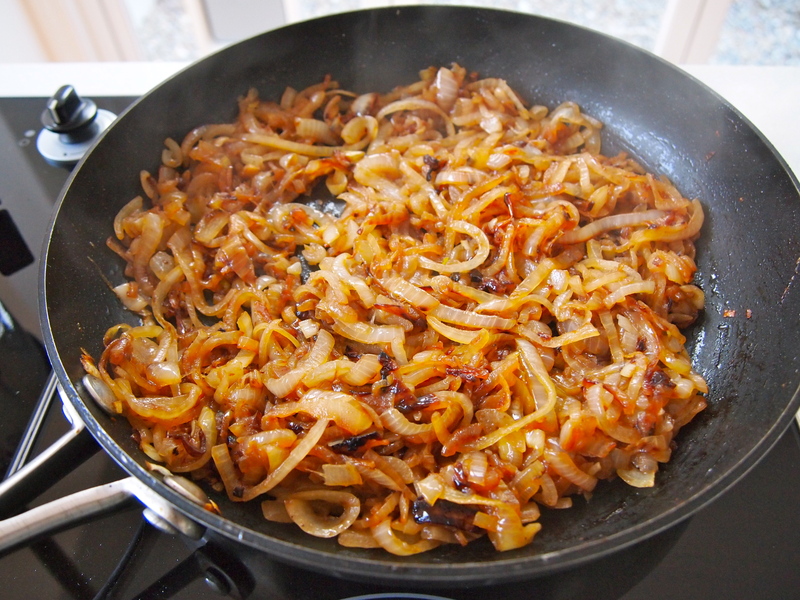 Add sliced onions and 1 teaspoon sea salt and cook, stirring occasionally, over medium-low heat for 30 minutes or until onions are very soft and golden, you want to achieve a nice deep colour on the onions without scorching them. Add the stock and simmer until reduced by half . Add cream and simmer until reduced by half, then remove from heat and cool. 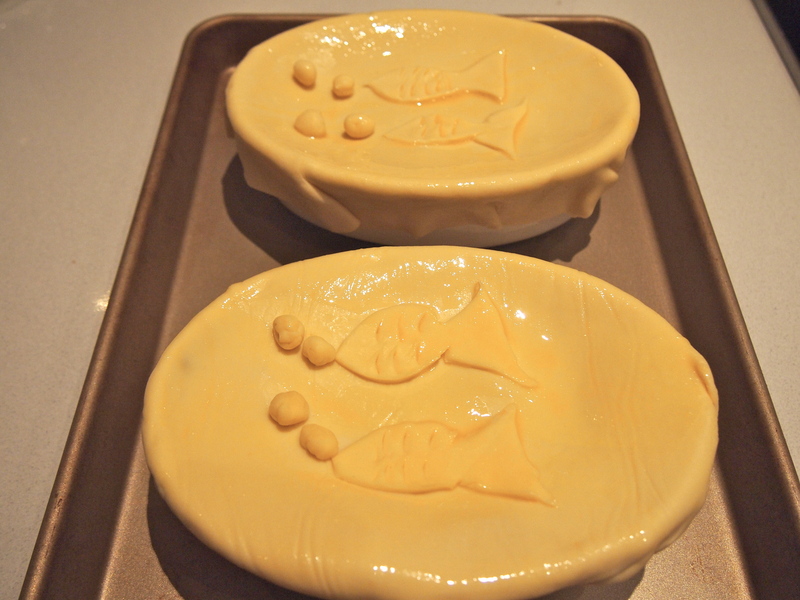 For the fish pie, preheat oven to 220C. Heat the remaining olive oil in a small saucepan and cook the finely chopped onion, stirring occasionally over medium heat for 10 minutes or until soft. 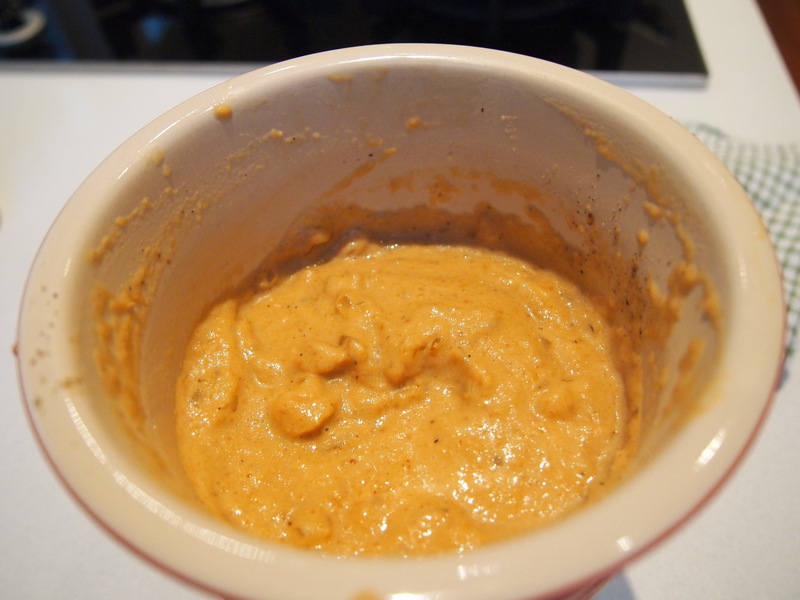 Process cream mixture in a food processor until smooth, then transfer sauce to a bowl. Stir in chopped onions and season to taste with sea salt and freshly ground black pepper. 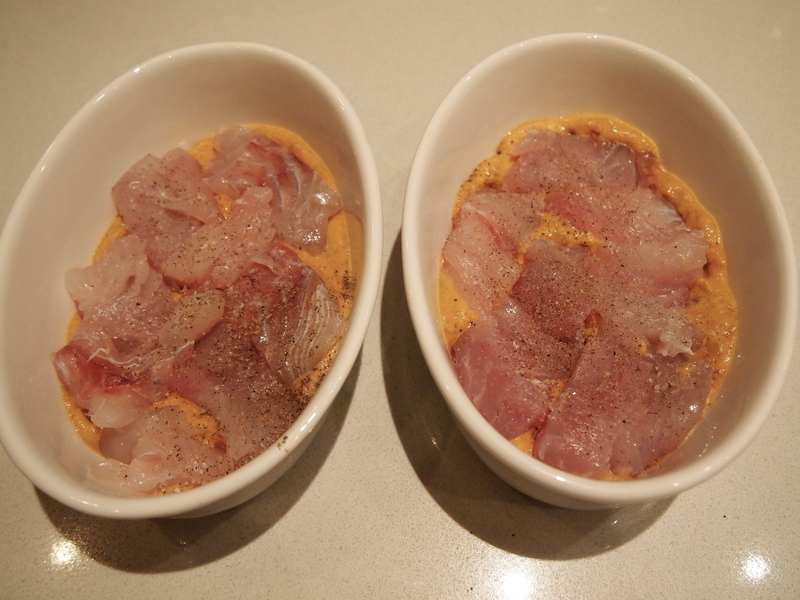 Spoon 2-3 tablespoons of soubise sauce into the base of 4 ovenproof dishes and add a layer of snapper pieces. Drizzle with some truffle oil and repeat layers to fill each dish 2cm from top. Place the pastry on a lightly floured surface and cut out pieces that are 3cm larger than your dishes. Cover pies with pastry, pressing pastry to side of dish and brush with beaten egg. Bake for 20 minutes or until pastry is golden and puffed. Stand pies for 5 minutes before serving. We made a baked seafood soup with puffed pastry that came out beautifully. We’ll give this a go with rockfish fillets. Thank you for this recipe – we tried it over the weekend and it turned out amazing! We have been to the Boathouse a few times and always loved the snapper pie there. So happy that now we are able to cook it easily at home. Thank you again! Thanks so much for the positive feed back Danielle. We love to eat at the Boathouse too and I often get craving for their fish pie. So glad the recipe worked well for you! One of my favourite recipes. Normally I serve this dish in a traditional lions head ramekin with rocket around the base, which can be added to the pie once you have cracked to puff pastry providing additional texture and flavour. Hi Weston, That’s a great idea regarding the rocket – I’ll try that out next time! 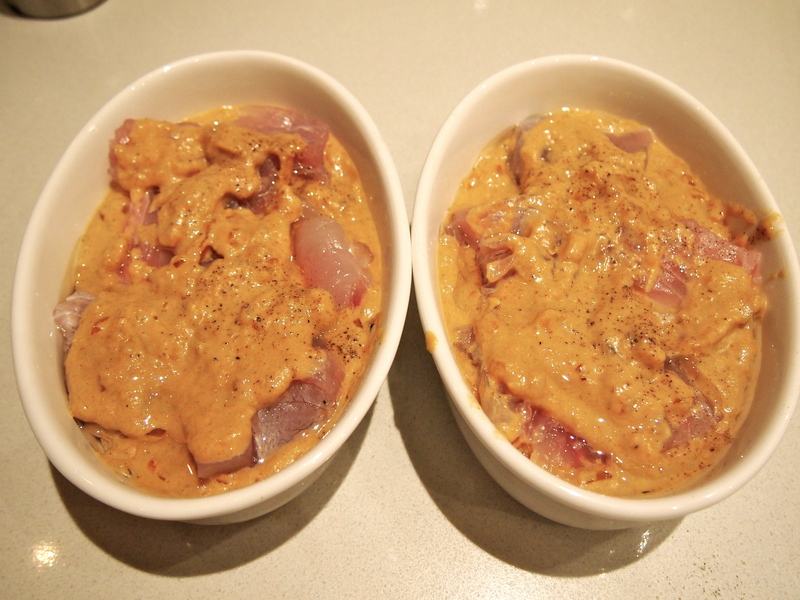 Hi Ben, Thanks for your comment and so pleased you enjoyed the recipe – it’s a great dish for entertaining! Hi CC, how funny that you should think that and then find my blog as a result! So glad you “dropped” in and love the idea of using chicken in the pie rather than fish – some people in my family don’t like seafood and I never thought of doing a chicken version as an alternative. love this recipe, my all time fav !!!! Can you suggest any sides to go with the pie? Hi Raj, glad you enjoyed the recipe! At the boathouse this pie is served with mashed potato and a smoked whole tomato – sounds weird I know but it works! I find the mashed potatoes too heavy so I serve it at home with toasted garlic bruschetta (basically good quality artisan bread sliced and drizzled with olive oil then baked until toasted and crisp and rubbed with a garlic clove). I love dunking the bread into the sauce of the pie. I also do a side of simple steamed green beans. Hi, any recommendations for what brand white truffle oil, puff pastry, and fish stock to use? Hi Patrick, I actually use chicken stock instead of fish stock as I like the fish flavour to be quite subtle. Not sure where you live but I buy any brand that is free range. Maggie Beer has a nice one and actually the supermarkets now also stock more premium stocks. Puff pastry I buy all butter. Pampas has a nice one as does Careme. As far as truffle oil goes – you get what you pay for so the more expensive the better the flavour and aroma. Check the ingredients to make sure it has real white truffle in it. Hope you try the recipe and that you enjoy it! Am trying this recipe for the first time and it smells AMAZING!! Just wondering if there is any reason to not mix through the truffle oil right before assembling instead of drizzling? Can’t wait to try the finished product. Thanks for sharing this. Hi Fernsie, glad the pie smell so good – you’ll find it tastes even better! I find that by drizzling the truffle oil at then end and just before assembling, the smell of the truffle oil is more pronounced when you break into the pie, but certainly no reason to not mix it through just make sure it’s just before you assemble and place it in the oven as the truffle oil can lose it’s fragrance quite quickly.